MOSCOW. 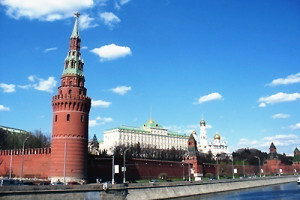 April 25 (Interfax) – Fifty-three percent of Russians believe that this country’s citizens meet their obligations to the state either for the most part or to the fullest extent, while 12% maintain the opposite, the Yuri Levada Analytical Center told Interfax. Less than a third of respondents (29%) argue that “citizens are both meeting and defying their obligations to the state (abide by the law, pay taxes, etc. ),” the center said. In turn, citizens think little of the state’s fulfillment of its obligations to citizens: 37% believe that the state fails to fulfill its obligations to citizens either for most part or completely, 22% claim the opposite, and 36% say it’s 50/50. More than a quarter of respondents (26%) believe they do not have to fully pay taxes and should not miss a chance for tax evasion. Two-thirds (65%) disagreed, and 10% of 1,600 respondents polled in 137 populated localities on March 31 to April 3 were undecided.